A collision on the M6 between Leyland and Standish is causing delays for northbound traffic this morning. 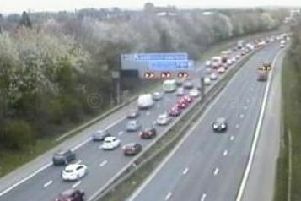 Police have closed lane 3 of the northbound M6 after the incident at around 7.15am. A collision on the M6 between Standish and Leyland is causing delays this morning. The number of vehicles involved in the collision is not yet known. The lane closure is affecting northbound traffic between junctions 27 (Standish) and 28 (Leyland). 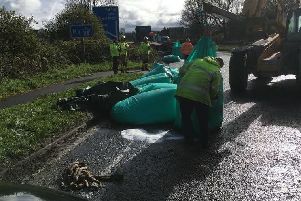 Highways England said they expect the carriageway to be clear and all lanes reopened between 9.30am and 9.45am.